As you plan crafts for two-year-olds, make sure they are age-appropriate projects that foster healthy creative, social, emotional, and physical development. When you encourage young children to experiment with art materials, they feel free to create their own unique experiences. An important part of teaching toddlers is to provide them with materials to create, however they don’t have to produce anything in particular. Let the process open up all kinds of artistic possibilities. This article will provide easy projects to include in your art lesson plans. Toddlers are beginning to learn colors and their names. This fun experience uses two familiar food condiments in primary colors to blend together to make a secondary color. Give each child a small zip-locking plastic bag. To each bag add a squirt or two of red ketchup. Then add the same amount of yellow mustard. Ask the children to repeat the color names with you as you add them to the bags. For safety reasons (and to avoid messes), seal the bag and place a strip of duct tape so the bag will not open. Now encourage the children to use their fingers on top of the bag’s surface to mix and blend the two colors. Ask the children what they see. What an interesting way to create the color orange! Place a sheet of clear self-adhesive paper in front of each child, sticky-side up. You may want to tape the corners down onto the table so it doesn’t wiggle out of place. Give the toddlers pieces of tissue paper in different colors. Invite them to tear the paper into pieces and place them onto the sticky paper. Challenge them to overlap different colors to make new colors. When the children have finished their collages, place another sheet of sticky paper on top and press down to seal the tissue paper inside. This project in itself is a work of art made with tiny fingers. This craft helps to develop small muscle skills and eye/hand coordination. 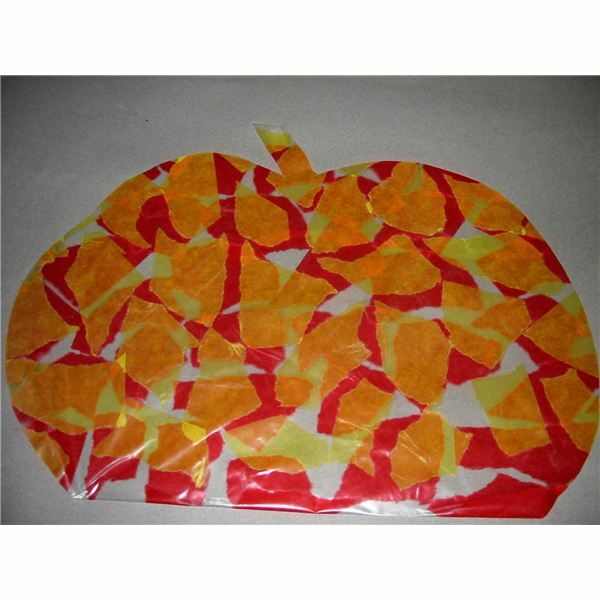 For extra fun, the teacher can cut the collages into seasonal or holiday shapes. Think about leaf shapes, hearts, egg shapes, pumpkins, and so on. You can punch a hole at the top and thread with yarn to hang the projects or place them onto a bulletin board. 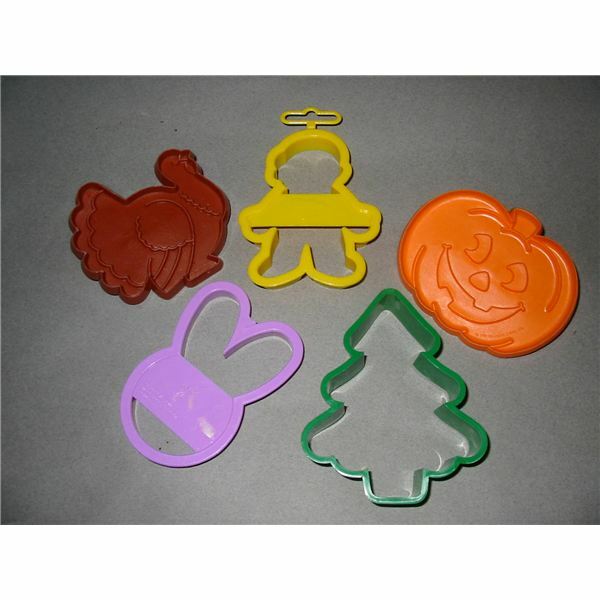 Plastic cookie cutters, especially ones with handles, make handy printing tools for toddlers. Pour a small amount of tempera paint into a shallow container – paper plates work well. Invite the children to select a favorite cookie cutter and dip it into the paint tray. Encourage them to press the cutter on the paper to make a print. It’s best to have one cookie cutter per plate using different colors, this way the children can print different shapes and colors onto their paper. During seasonal celebrations it’s fun to use cookie cutters that match the holiday for a special art paper to decorate the room or send home to the family. This is a fun activity where toddlers begin to learn about shapes and sizes. Provide paper cups in a variety of sizes. Again pour the tempera paint into a shallow container. Show the children how to dip the rim of the cups into paint and then press onto paper. Challenge them to cover the paper with circles in different sizes and colors. As you paint together, use the words big, little, and circle. When it comes to printing think about all the objects you can use, such as kitchen tools, sponges, thread spools, toy cars for wheel printing, corn cobs, berry baskets, golf balls, hair rollers, Koosh balls, and mesh bath puffs. I’m sure you can think of others! Remember, children become creative not by what they produce, but by what they attempt and explore. Crafts are an excellent way for toddlers to express their ideas and feelings.